Pauline Logan (@paulinelogan) organised a question filled Social Media for Business presentation on Monday night at the Callaghans Alexander Hotel in Dublin city centre for Dublin City Enterprise Network for Women. 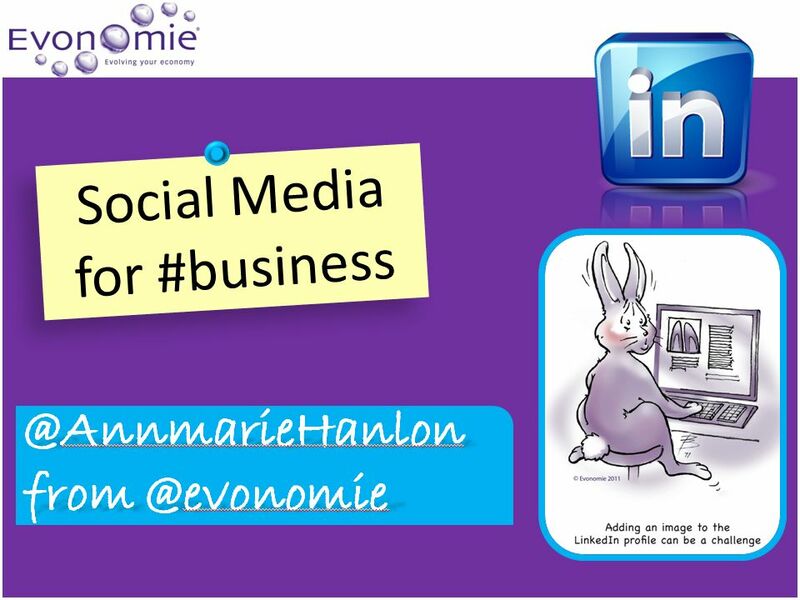 If you found it useful you can follow me on Twitter @annmariehanlon and if you’d like me to follow you back, please make sure you’ve tweeted at least twice! And do tweet a message to me. This moves your profile photo and your friends who automatically become ‘fans’ of the page. To save all your previous updates, photos etc, you need to go to settings, general account settings and download a copy of your other data. Upcoming free webinars that you may find useful include. Go to the web link and existed your interest. You’ll be sent full instructions and a friendly reminder.